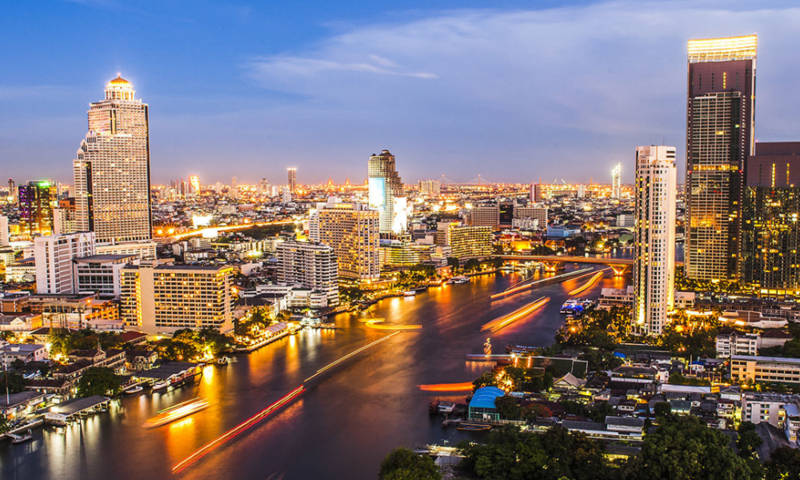 It is with the greatest pleasure to invite you to “Unblock Bangkok” – our 2nd Meetup in Bangkok on October 25th where we will bring Blockchain expertise from different communities; expat, local and chinese to discuss about current trends and updates about Blockchain Market around Asia and Opportunities that we should look into. 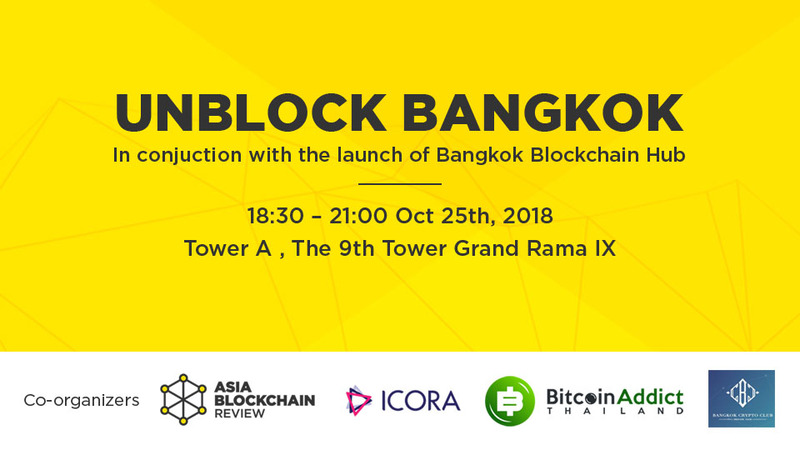 This time, we invited many special guests to join us on stage such as Bitcoin Addict Thailand, ICORA, and it’s a very honorable chance to be a part of Bangkok Blockchain Hub opening ceremony at their Bangkok Crypto Club’s new and outstanding office, The 9th Towers Grand Rama IX. A is the top Thai crypto influencers. With a background in engineering, finance and entrepreneurship and an understanding of the complexity of cryptocurrency. 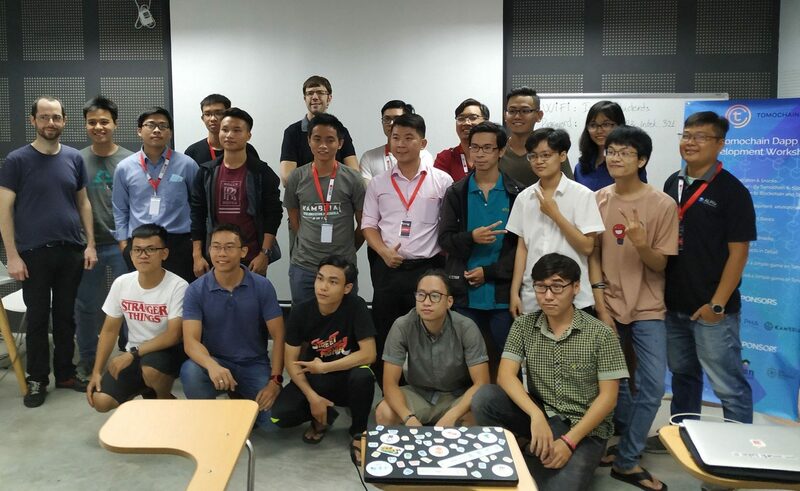 He makes Bitcoin Addict Thailand a go-to-place for Thai community to get more information as well as education. As he has strong connection with local community and always heads up to the news and updates, he will be speaking in October Update! And Sidefire chat sessions to give you an insight of local community movement and trends of Thai Blockchain Industry. She currently oversees the incorporation, business development, partnership and team growth for Asia/SE Asia region for Asia Blockchain Review. She is entrusted to leverage her broad understanding and extensive network to develop the blockchain and tech startup ecosystem in Vietnam and now expanding into Southeast Asia. She is a strong advocate for emerging technologies as a competitive advantage in Southeast Asia’s developing markets. So you will meet her in the session together with A, October Update and Sidefire chat. Apart from Head of Business Development Lead at ICORA, an ICO Advisory firm. He is a huge Crypto Enthusiast and big advocate for Blockchain and cryptocurrency. He has participated in various ICO’s on a personal level and is always on the lookout for potential new projects. He has a strong connection with Expat community in Thailand and strong understanding of ICO and Thailand Blockchain related regulations, in Sidefire Chat session, you will be able to learn a lot and laugh from his wiseful sharing. Jeff has been an entrepreneur since his high school in the UK. He was the founder of British Social Media Association, the biggest social media company at that time. Once back to China, Jeff started his business on digital exchanges, funds, etc. He co-founded one of the earliest and biggest blockchain media in China called Jinniu Finance, and global digital investment fund, Zenith Ventures, GP token fund etc. He expanded his business to SouthEast Asia from the beginning of the year by founding Bangkok Crypto Club. He will share his ambition in Blockchain Hub Launch ceremony and join Sidefire talk to share his insight about Blockchain and Cryptocurrency trends from China. Over 6 years of marketing and business development experience in global market scale, She joined Blockchain industry as the marketing director of Primas in Shanghai. And now her career continues in Bangkok with Bangkok Crypto Club. She will be speaking in session called Spotlight on china to share you the movement and trends of Giant crypto country in Asia. Next week, please join us at Unblock Bangkok, you will learn and see many different perspective about Blockchain and Cryptocurrency by our expertise in different markets around Asia. And of course, to enjoy the networking night with various communities in our event.